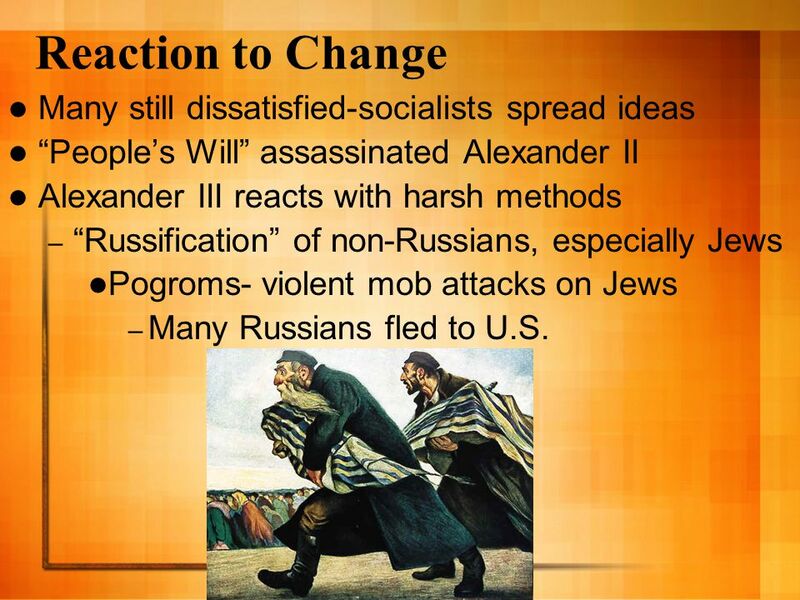 “People’s Will” assassinated Alexander II Alexander III reacts with harsh methods “Russification” of non-Russians, especially Jews Pogroms- violent mob attacks on Jews Many Russians fled to U.S.
Download ppt "Russia: Reform & Reaction"
Italian Unification. Italy Italy had not been united since Roman times. In the 1800s it was split between several nations including Austria, France and. Vocabulary Chapter 10 section 2 Kyle Ditsche Kulturkampf- Bismarck’s “battle for civilazation” in which his goal was to make Catholics put loyalty to the. 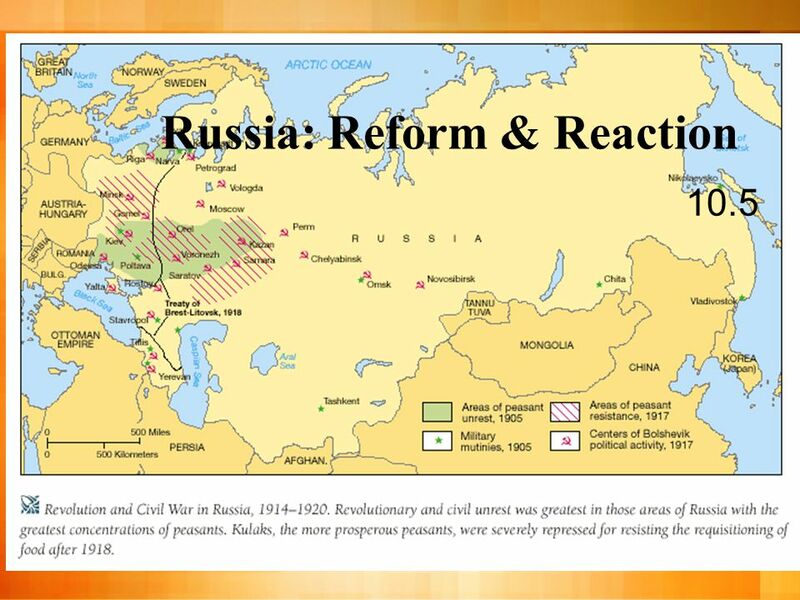 RUSSIAN REVOLUTIONS TEST REVIEW. 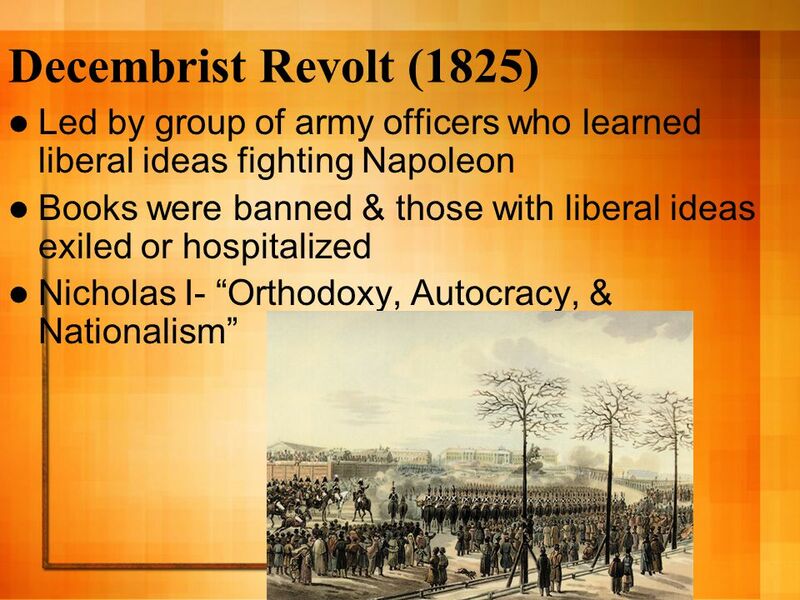 TERMS DECEMBERIST REVOLT – Decemberists tried to overthrow Nicholas I; resulted in 100s of revolutionaries exiled to. Westernization, Reforms, and Industrialization in Russia Chapter 25-2. H.E.. Serfdom had almost disappeared in Western Europe by the 1700s Survived and spread to Russia Masters had almost total power of serfs “I heard….stories. Chapter 10 Nationalism Triumphs in Europe Section 5 Russia: Reform & Reaction Section 5 Russia: Reform & Reaction. Chapter 7 Section 5. Conditions in Russia  Rigid social structure Landowning nobles Very small middle class Majority of Russians are serfs  Tsar ruled. Russia ( ) Assess the message of Nicholas I’s rallying cry “Orthodoxy, Autocracy, Nationalism” as way to understand Russia’s conservatism. Predict. 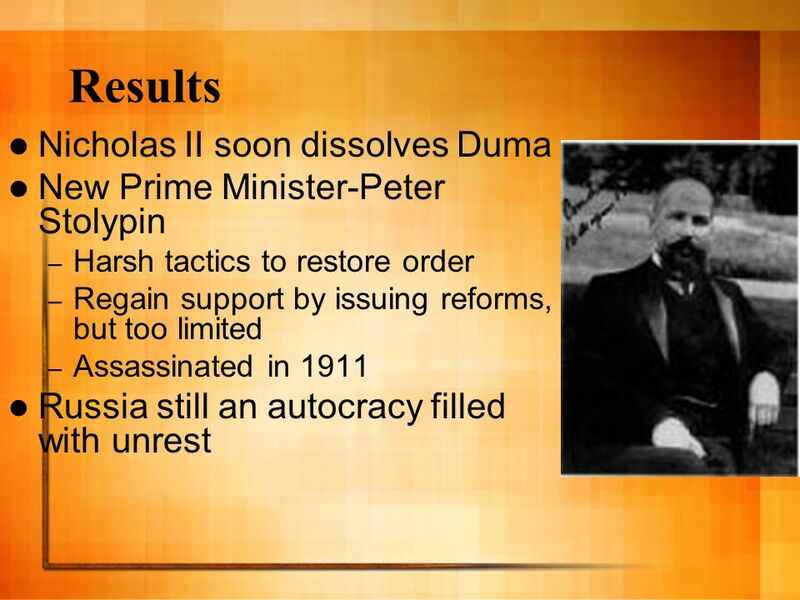 The Decline and Fall of the Romanov Dynasty in Russia © Student Handouts, Inc.
Chapter 32: Dynamics of Change Section 4. Russian Expansion For centuries, Russian rulers have focused on war and neglected agricultural developments. 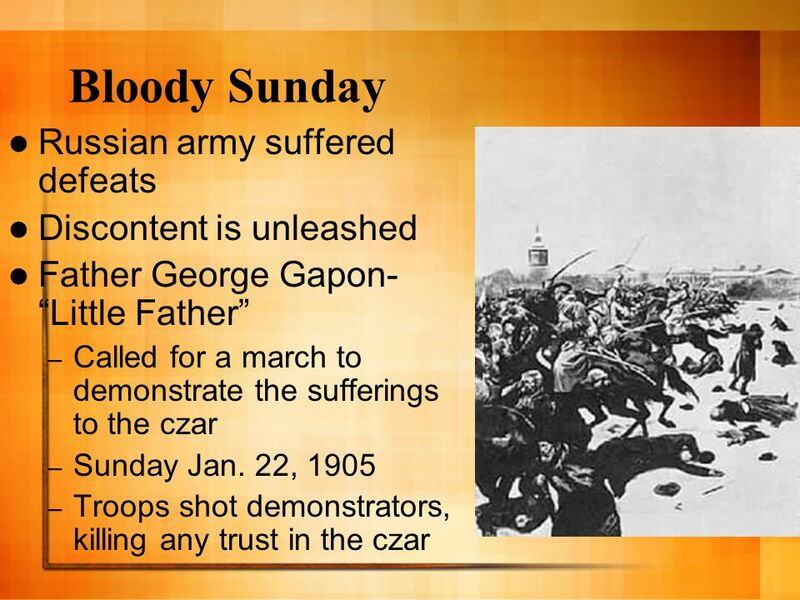 World History/Cultures Chapter 15- Reaction & Nationalism Section 4 Empire of the Czars. TEKS 8C: Calculate percent composition and empirical and molecular formulas. Reform and Reaction in Russia. 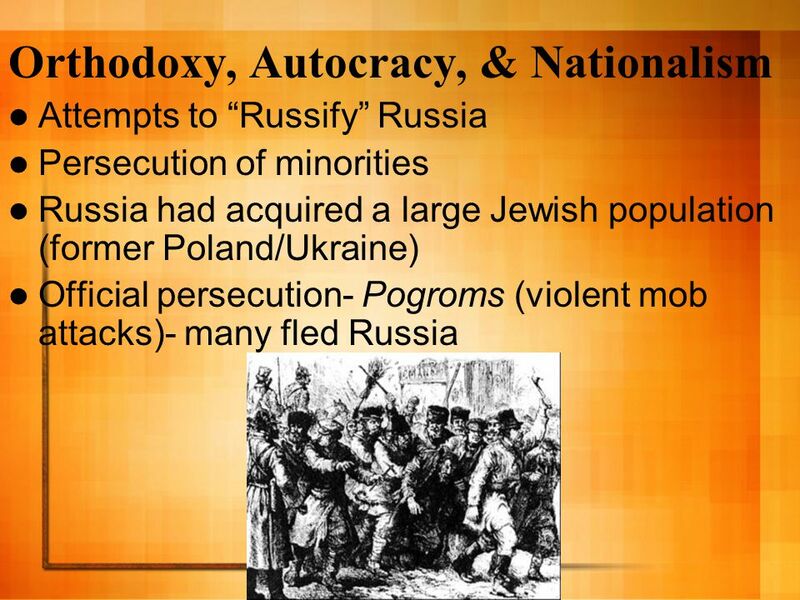 Nationalism in Europe Section 4 Preview Main Idea / Reading Focus Government and Society Reform and Repression Quick Facts: Last Czars of Russia War and. Russia: Industrialization to Bolshevism. 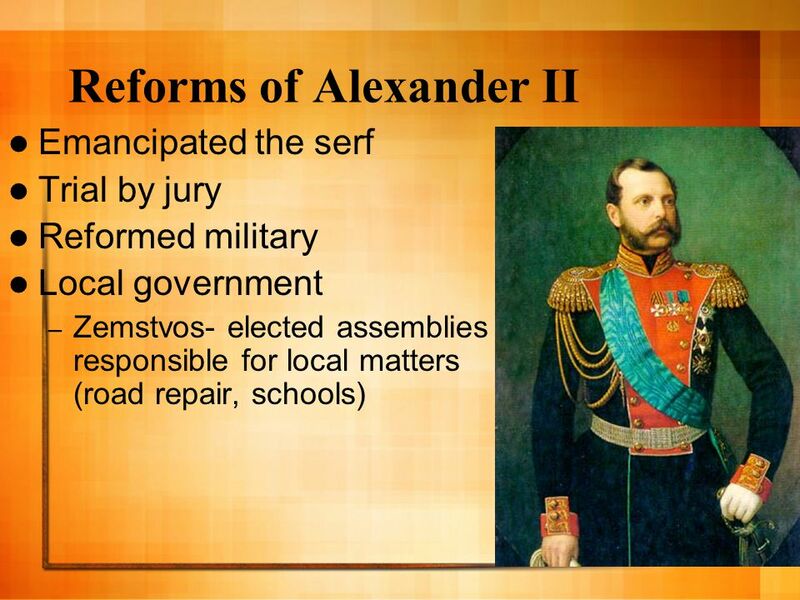 Background  Tsar Alexander II –Attempted to reform after Crimean War  Ended serfdom  Military reform  Zemstvos. 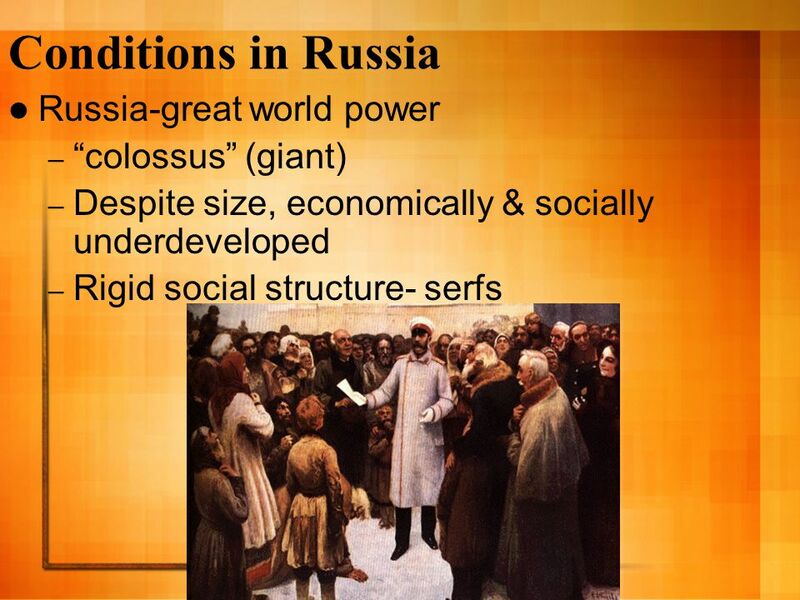 Russia Setting the Stage: Russia 1815 Largest Most populous nation in Europe Huge multinational empire due to expansion in the 1600s Economically underdeveloped. 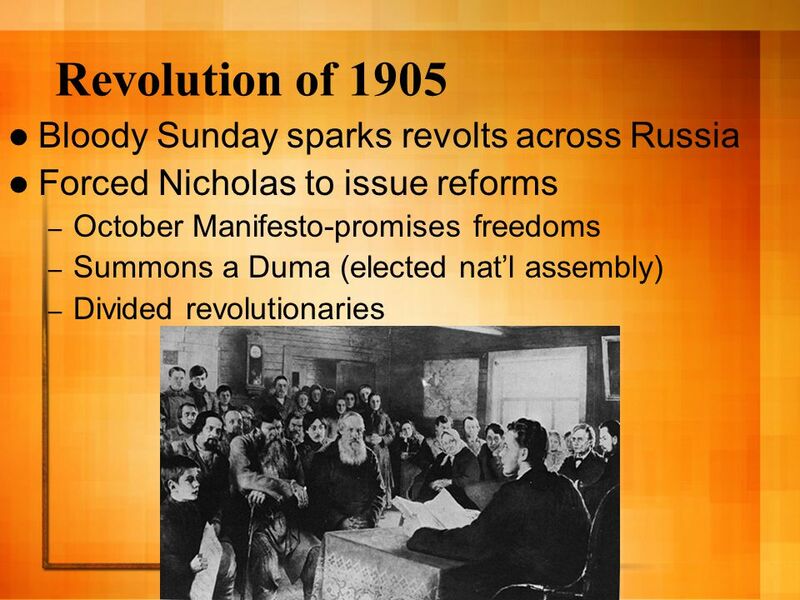 THE 1905 REVOLUTION The “great dress rehearsal”. THE 1905 REVOLUTION  Discontentment of peasantry  Discontentment of proletariat  Revolutionary agitation. Russian and its rulers 1855 - 1917. 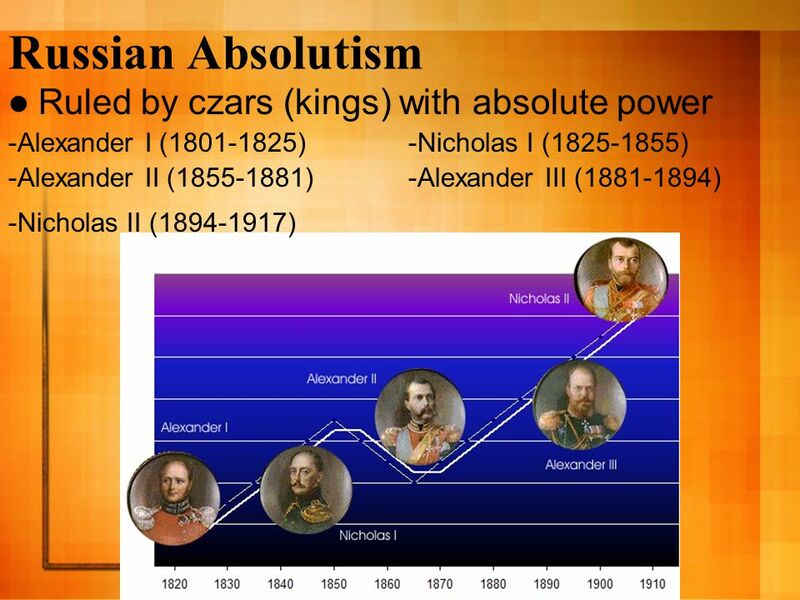 Russia c.1855 n Ruled autocratically by Romanov Tsars since 1613 n Ruled since 1825 by Tsar Nicholas I (‘Thirty wasted.